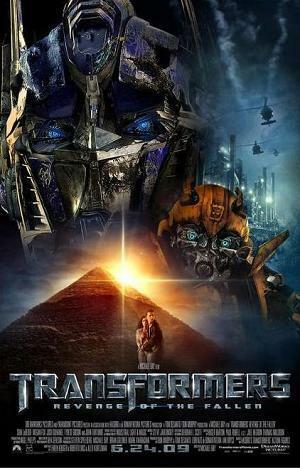 Transformers: Revenge of the Fallen is a 2009 American science fiction action film which was released on June 19, 2009 in the United Kingdom and June 24, 2009 in North America. It is the sequel to 2007's Transformers and the second film in the live action Transformers series. Michael Bay and Steven Spielberg return respectively as director and executive producer, while Shia LaBeouf reprises the role of Sam Witwicky, the human caught in the war between Autobots and Decepticons. The film introduces many more robots and the scope has been expanded to numerous countries, most notably France, Jordan and Egypt. The plot revolves around Sam, who has been having visions of Cybertronian symbols, getting hunted by the evil Decepticons under the orders of their long-trapped leader, The Fallen. The Fallen seeks to get revenge on Earth by finding and activating a machine that would provide the Decepticons with an energon source, destroying all life on the planet in the process. Despite poor critical reception, Revenge of the Fallen achieved the highest Wednesday opening gross in history, bringing in $62 million in North America alone and close to $100 million worldwide; this is also the second-highest opening day gross of all time, behind only The Dark Knight's $67.8 million. 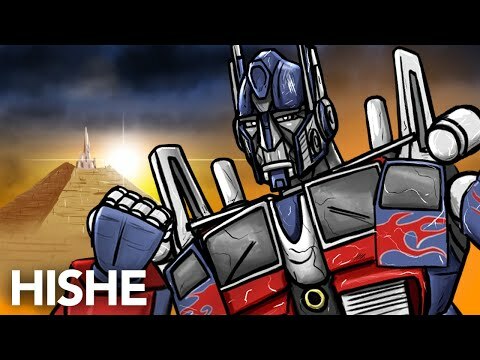 Transformers: Revenge of the Fallen is currently the highest grossing film of 2009, beating out Angels & Demons which previously held the title, and in less than a month surpassed the all-time earnings of its prequel.